We provide a caring, family run, local children’s nursery. Our professional and friendly team provides quality care to ensure a safe and stimulating environment to support all children in achieving the best possible start in life. Half Day and Full Day sessions available for both private and government funded children between the ages of 0-5 years old. Places available for 15 hours weekly funding for 2 year olds*. 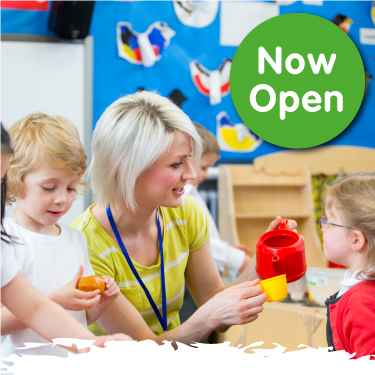 Places available for 30 hours weekly funding for 3 & 4 year olds*. 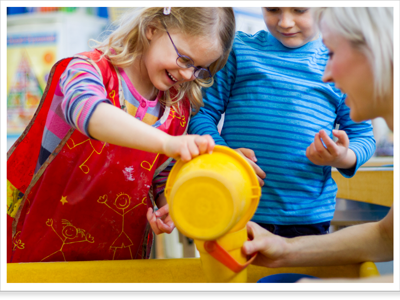 *Click here to find out more about Childcare Funding and eligibility.